When it comes to catching trout, it’s hard to beat the bite at Whiskey Creek Fish Hatchery. And on this particular day, fishing at the hatchery is free for more than 300 kids with special needs. 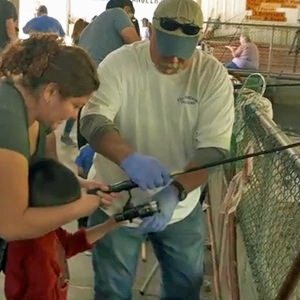 This marks the 24th year of “Fishing Day for Kids with Disabilities.” It’s the annual capstone event for the Tillamook Anglers, the nonprofit that has managed the hatchery for nearly 30 years. Tillamook Anglers provides gear, bait and assistance for the kids trying to catch fish from the hatchery’s raceways. 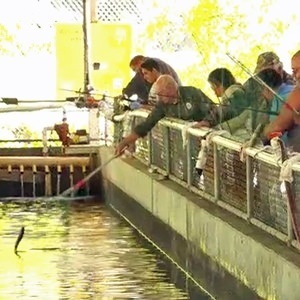 The Oregon Department of Fish and Wildlife donated 1,200 rainbow trout for the event. Volunteers even clean and bag the fish with ice. The 800-member Tillamook Anglers is all about community service. Every October, scores of members cut up surplus hatchery salmon, bag the filets, seal them for the freezer and deliver thousands of pounds to the local Oregon Food Bank. 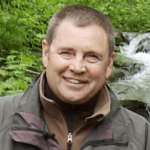 Tillamook Anglers President Jerry Dove explains that one of the group’s most rewarding jobs is to ensure the bounty of surplus salmon doesn’t go to waste. The best surplus fish are transported to Dove’s mini-processing plant in Tillamook. Extra carcasses are sold through local vendors as crab bait. Salmon eggs are cured and packed into jars. Last year the effort delivered more than 5,000 pounds of filets to the local food bank. In Tillamook County, more than 60 percent of school-aged children are eligible for food assistance, so the Tillamook Anglers know their efforts help. Back at Whiskey Creek Hatchery, located on the banks of Netarts Bay, the kids are having a ball. The event is more than fish — it’s also a big day for barbecue! Tillamook Anglers members man stations, cooking and serving grilled chicken, burgers and hot dogs. Oh, it’s real alright. This day is a gift from fishermen who know it isn’t the size of the catch that matters most — but the memories you make along the way!